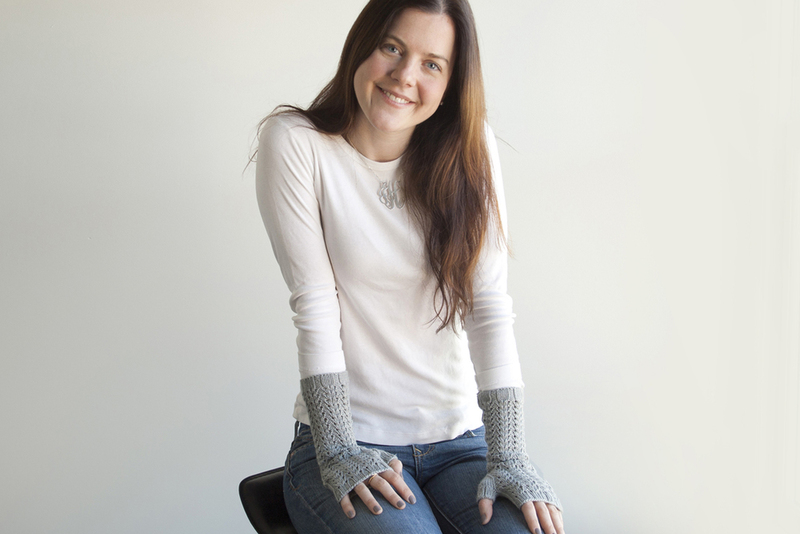 This mitt pair is decorated with a richly textured 6 stitch x 4 row lace repeat on its upper side from cuff to fingers, and stockinette on its reverse allowing the tapering of nicely-long cuffs to be easily managed. Mitts are worked in the round and trimmed on each end with 4x2 ribbing. The lace pattern is both written and charted. color – grey #173; 1 skein, or for comparable yarn, approximately 190 yards (175 m). Long-tail cast on, Backwards Loop cast on, circular knitting, decreasing (ssk, k2tog), and increasing (k1-r/b).